Just a short blog post this week. 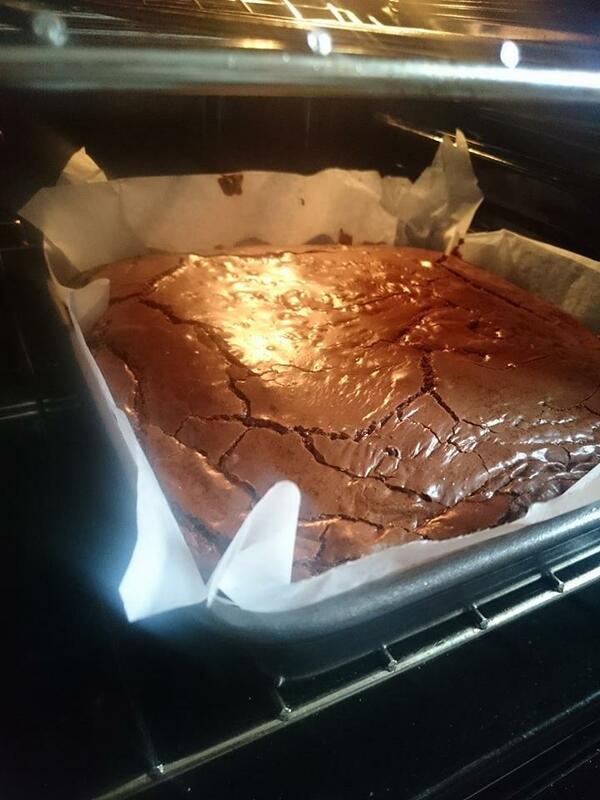 Wanted to share with you a simple recipe for a Dark Chocolate Brownie that is both Gluten and Dairy Free. We do a large number of private dinners now where we have guests with allergies. Just because you suffer from a food allergy or intolerance it doesn’t mean you should miss out. This Brownie is great served warm or even better when chilled. It’s dark and dense. We have served it to non allergy guests and they haven’t even been able to tell the difference. Even if you are not allergic to Dairy or Gluten, I thoroughly recommend giving this recipe a try. You will not be disappointed. We have recently started catering for a large number of Hen Parties in Dorset. A lot of Hen Parties like to get in a Private Chef to cook for them before heading out. We have a smaller menu available for Hen Parties looking for a Private Chef in Dorset. Visit our Hen Party section on our website for Hen Parties Dorset. I can only apologise for the length of time it has taken me to blog. We set up in February 2016 and business was probably best described as ‘slow’. Hence, I had a lot more Blog Posts for the first 6 months we were running. However, July saw an upturn in business and it’s been a veritable upward trajectory since then. The reason I felt compelled to write again was that today, on my Facebook feed, it popped up that a year ago I nearly lost 12 Crème Brulee out of the back of the car! This made me chuckle as this was near the start of Brown Goose Catering. As I think back to one of the first dinners that we did - a 5 course meal for 10 adults - such was our inexperience that we ended up taking 3 cars between the 3 of us! We had so much stuff that we couldn’t all fit into 1 car. However, this served as a lesson to all of us and such is our efficiency now that we can load up 1 car + 3 people and do a dinner for 20 people. Starting Brown Goose has definitely been a steep learning experience. As a chef in an established kitchen you can become entrenched in the daily routine. This can be both a good and a bad thing. Working in the same environment every day can offer you a sense of stability and allow for a quicker development of skills. Things may go wrong - but in an established kitchen, this is less likely to happen. One particular memory I have is being in a hotel where all the electricity had gone. However, the gas was still running so the stoves were still working. For the next hour, we had to use candlelight and emergency lighting to cook. But the frequency of problems were less and the need to adapt was as essential. 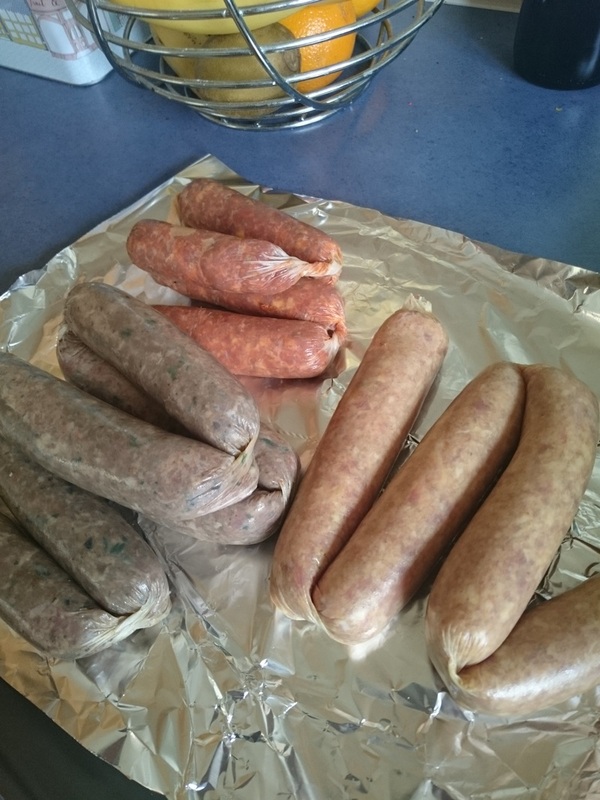 The nature of our business means that we go to cook at a variety of different properties; which has increased the frequency at which I have had to adapt at a quicker speed. We work in a large number of Rental properties in and around the Dorset/Somerset area. Some of these properties may cost into the £1000’s per night for the large groups staying there. However, this does not guarantee that everything is in a functional working order. So we have had to learn to adapt to situations pretty quickly. Being able to cook a 2 course lunch without a major heat source and a loss of electricity was particularly interesting. As was being able to serve 18 guests with enough crockery and cutlery for 8 to have 3 courses. Suffice to say, it’s been an extremely energising time. Throughout my life, I have spent 15 years in the business of catering in various establishments: 5 Star Hotels with 500 Bedrooms and 5 restaurants; 9 Bedroom country house hotels; Personal Chef to a family as well as working for a successful Food Truck company. I would say I have seen a lot and felt like I had done a lot, giving me a pretty varied outlook on this business. But what I love about this job is that you never stop learning; and through the establishment of Brown Goose - I have done just that! Running my own business has taught me that, although I believed I could cook and that cooking for myself would be easy, it’s been the learning to overcome the obstacles that has been the most rewarding part. My greatest achievement in the last 18 months has been discovering that, even after 16 years, I am still not only willing, but able to learn more from this trade. This has been a shorter post than normal which means there’s more chance you have reached the end. I will endeavour to produce a recipe for a blog post next time. I was amazed when I started to look at ingredients for N. I hadn’t really thought about it much before. It was then that I realized there are very few ingredients that start with the letter N. There are lots of products such as Nacho, Nutella (Oh how I wish it was an ingredient), Nougat to name a few. But the ingredient list was rather sparse. In fact I could only find Nutmeg, Nettles, Nectarine and Nori. I realized that I didn’t really love any of these ingredients. I couldn’t really wax lyrical on any of them. I also ruled out Nibbed Almonds, Nuts (too generalized) and New Potatoes (Not really a proper N in my opinion). So what should I do? Nashi pear appeared in my search, but I’ve probably only ever used this twice so can’t really shout about how amazing it is! So I’m left with a culinary conundrum. No ingredient to go with the letter of the alphabet. I figured this wouldn’t happen until X.
I was going to then look for a cooking technique beginning with N. And nothing struck out at me. So I decided, with a heavy heart, that I would move onto O. Why not? There is an absolute abundance of great ingredients beginning with O. Oranges, Oxtail, Oregano and Oats. But I know for a fact that my favorite O is Oyster. This, like my most of my previous ingredients, wasn’t always a favourite. I had a bad experience with a fried oyster in my teens – and I learned (the hard way) that certain types of restaurant that include oysters on their menu, should be avoided! Fast forward a few years and I was given the opportunity to try again. My apprehension was audible. However, I sucked it up; chugged it down and have never looked back. A few years ago, I was lucky enough to spend 6 months in the Bay of Islands, New Zealand. There was a plethora of fresh seafood available. The restaurant I worked in regularly got shipments of fresh oysters from a local boat. We would serve them raw as well as in the cooked dish ‘Oyster Kilpatrick’. The location was blessed with cleaner than average waters and as yet, nothing can replicate the freshness of these oysters and the flavour of the sea that came along with them. Oysters can be found everywhere in the world and in years gone by, they were much more readily available. However, they are now considered very much a luxury item. In Victorian times, the Oyster was considered a poor man’s foo. It was also at this point that Britain used to have a thriving Oyster industry. However, cold weather, overfishing, pollution and a parasite have made it a shadow of its former self. Currently, the 2 types of Oyster that are grown / grow in British waters are the Native Oyster as well as the Pacific Rock Oyster. 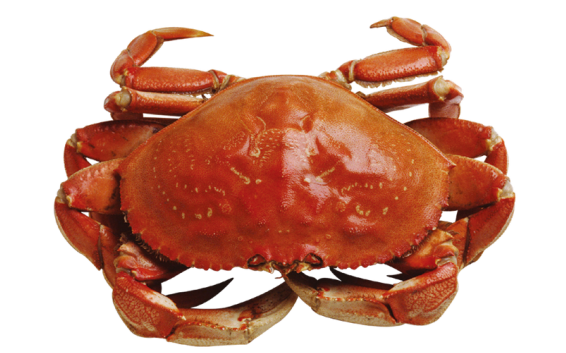 The latter was introduced to boost stocks and also is available to eat year round. The former is not as easy to farm but can be easily managed offshore. The difference between the 2 varieties is more than just the taste and texture. Native Oysters take twice as long as the Rock Oyster to grow. They take about 5 years from spawning to be ready for us to consume. They are also a protected species in certain months of the year. The Native will spawn between the months of May and August. At this point they are not allowed to be taken from their beds. It is only at the start of the months containing “R” that they can be consumed. There was myth in Victorian times that Oysters were not good in the summer months. This was probably more related to the fact that there would have been poor storage back then. 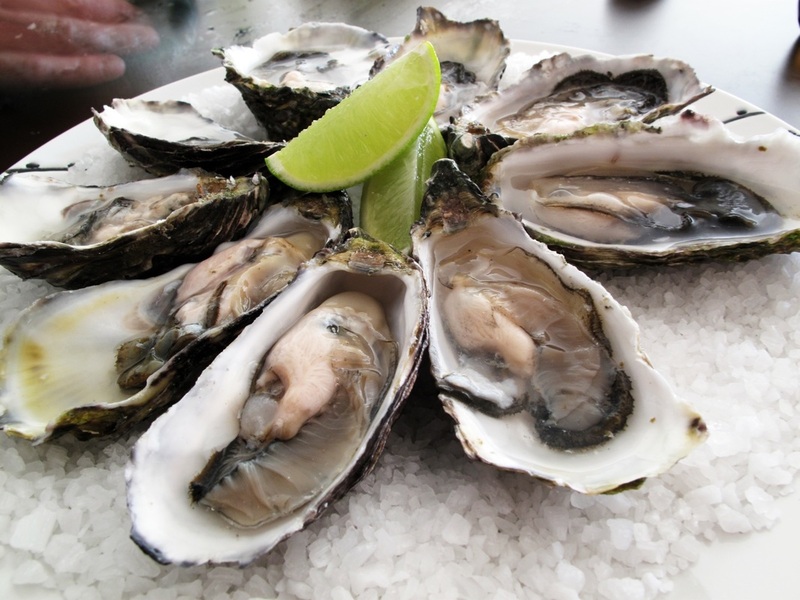 Being a fresh seafood, oysters don’t have a particularly long shelf life. So, if you are choosing to use them in your own kitchen, try and find them as close to the source as possible. Buying them from a reputable fish supplier is also a good idea. So how do you know if an oyster is fresh or not? A fresh oyster will be shut closed. If you find an oyster shell that is open, tap it. If it doesn’t slam shut then it’s not fresh. It will be dead and have already started going off. If the shell is closed, then a good way to tell is by knocking the shell together. Once living things die, they begin to lose moisture. An oyster that has died will slowly start losing moisture and will leave a gap in the shell. A hollow noise will indicate a high likelihood that the oyster is already dead. The moisture will also affect the weight. A full plump oyster will feel heavy in the hand. After opening the oyster, you should also be able to tell whether it is fresh or not. A fresh oyster will have a light salty smell. A bad oyster will have a strong fishy / sea smell. Of course, with many things – you can never be 100% sure. There is a small possibility that, even though it appears to be fresh, there may be bacteria living in the oyster that could make you ill. There is a train of thought that all oyster meat should be cooked above a certain temperature. This would kill all the bacteria. However, you should not avoid having fresh oysters because of this. You can break your leg by falling out of bed, but you still go to sleep there. You can severely reduce the likelihood of getting ill by always buying ‘fresh in the shell’ oysters from as close to the source as you can. Here in Dorset we are lucky enough to get fresh oysters, which is definitely one of the great advantages of living in a county with such an expansive shoreline. I considered leaving you with a recipe, but I know that oysters are best served raw and straight from the shell. So if you have never tried one, go out and find them and be prepared to enjoy a unique culinary experience. ​This has been a lot more factual than normal. There is also a lack of pictures which will be rectified in next weeks P blog. Summer is slowly drawing to a close and Autumn is knocking on the door. P has a few great ingredients that can be eaten properly in the Autumn. I look forward to sharing it with you. One of my favourite cooking shows is the American version of Iron Chef. A concept originally from Japan, it sees a well-known Chef battle one of the program’s “Iron Chefs” in a 1 hour cook off. They normally have to produce 5 dishes from one “secret” ingredient. Normally it’s 4 savory and 1 sweet, depending on how they play it. I’ve seen everything on there from easier ingredients like Bacon, Beef and Cheese, through to the obscure such as Pacu (check it out! ), Snails (not as obscure but imagine making 5 dishes from them!) and Halloween Candy. It was on this show that I was blown away at how many dishes could be made from my chosen ingredient - 10 dishes all produced from the same ingredient yet all so different. As with the ‘H’ ingredient of honey, it is great in its natural form, yet is sadly often sold in a modified fashion. It goes best with dessert but can be just as easily used in a savory environment. 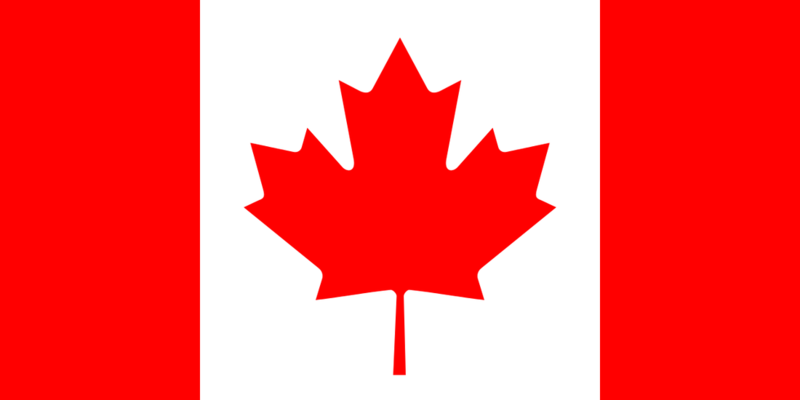 It is taken straight from the tree and is primarily from Canada (although it's also produced in the North of the US)…. It is of course, Maple Syrup. Although it is not really a local ingredient or one that is used a lot in British cooking, it is one that I love and really enjoy cooking with. Having eaten genuine Maple Syrup in Canada, I can vouch for the genuine article over the ‘Maple flavoured’ syrup that can be found on many supermarket shelves. For those of you who are unfamiliar in the way this ingredient is produced, allow me to give you a brief insight. Maple syrup is derived from the sap of the maple tree (a tree predominantly found in the Northern Hemisphere but not exclusively). The tree stores starch in their roots before Winter. This starch is then converted to sugar and at the start of Spring, it begins to force its way up the tree. When it reaches a certain point in this journey, it becomes optimal for extraction. However, during the extraction season, only 10% of a trees sap is taken from the tree which means it will not affect its health. Once the maple liquid is removed, it requires a bit of manipulation to transform it into the finished food product. However, it’s not altered to such an extent that it is unrecognizable. The basic idea is to reduce the liquid down until enough moisture has been removed to make the syrup a sugar consistency. 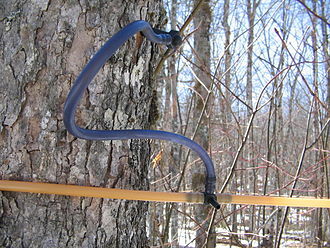 The amount of sap liquid required to produce 1 gallon of maple syrup is, on average, 40 gallons. It may be quite a long process but it is definitely worth it in the end. Looking back, no one is entirely sure when it was decided that consuming tree sap was a good idea. It is thought that maybe the Native Americans had begun using maple sap as a food source prior to the arrival of the Europeans. There are words in old Native American language that refer to the food ‘drawn from wood’. There are different grades of maple syrup as well. Some are considered only good enough for cooking and not eating straight. These differ by countries as well, which can make it a confusing process. A lot of the grading depends on the level of evaporation; the time of the season the sap was harvested and where it originates from. Unfortunately, this too would be a long process to explain, so I will leave you to look it up if you feel so inclined! As for my love of the ingredient, it stems back to my own childhood. My dad brought some maple syrup home from Canada when I was younger and I remember the sweet taste so clearly. I was surprised that for all its sweetness, it also had a rich, deep, almost caramel flavour to it. I hadn’t ever tasted anything quite like it before. We had it with pancakes and words cannot bring back how amazing I found this. Unlike my wife, I was a ‘savory over sweet’ kind of child (still am as an adult / chef) but I loved this taste. I really enjoyed Lyle’s Golden Syrup, but this new Maple syrup was something else. As a chef, I have also seen how it can be used as a versatile ingredient as well. Real Maple Syrup with smoked Bacon is a combination which once tasted, will stay with you forever! It can be rubbed on the side of bacon and the added caramelization plays off the smokiness amazingly. Maple syrup mixed with soy, ginger and chilli can elevate a flavourless piece of salmon left over in the fridge. It has found its way on to several of my menus in desserts. Maple Syrup and Roasted Pecans have to be one of the best food combinations that I know. So, with this in mind, I decided that I would give you a recipe for a Maple, Banana and Roasted Pecan Iced Parfait. Not to be confused with Liver Parfait, Iced Parfaits are a light, iced cream desert. They can be flavoured with any number of different alternatives. Often, in commercial kitchens, we will set and freeze them in terrine moulds, enabling us to take slices of them. However, if you don’t have any silicon moulds or the like to hand, then you can simply put it into a container and spoon it from there. 1. Warm the banana with the maple syrup and mash up as much as possible. 2. Next, using an Electric mixer, begin to whisk the egg yolks and whole eggs. 3. Carefully add in the sugar and set the mixer to high. Whisk for at least 6/7 minutes until the mix is light and fluffy. 5. Add the banana mix to the egg mixture and mix thoroughly – be careful and avoid over mixing. 6. Fold the cream into this mixture using a spatula. Again, avoid over mixing which would result in the air being removed and making the finished product crumbly. 7. Place into the mould and freeze for at least 12 hours before serving. You can serve this on its own simply with a tuile biscuit or shortbread. Alternatively, if you want to pair it with something a little more extravagant, then is a great accompaniment to a spiced poached pear or a rum based dessert. 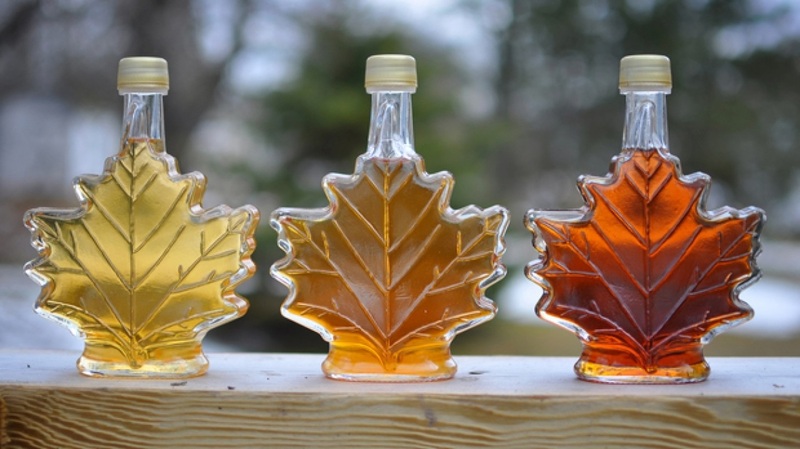 In researching for this blog, I have learnt a lot about Maple Syrup that I never knew. Hopefully I have been able to pass this knowledge on to you. Take the time to try the recipe and I’m sure that you won’t be disappointed. Or Lemon Sorbet. Or Lemon Bavois. Or cut a slice and stick it in a Gin and Tonic. Lemon. Another sure fire ingredient that I didn’t hesitate to include in this list. Sure, we could have chosen lamb or langoustine, maybe lime or lychee. But the lemon undoubtedly came out on top! Versatility is the key. A lemon can be the star of the show just as easily as it can be the flavour in the background; merely changing the complexity of a dish. It can be featured on a starter or dessert alike. It compliments fish as easily as it can be used with a dark, red meat like lamb. I find it extremely hard to think of any menu where I haven’t used lemon in some form. It’s just one of those basic ingredients that you should always have hanging around in your pantry. Lemons are acidic. This means they go great with fatty foods. I can recall stopping at a pub restaurant near Reading on a long journey back from London and choosing to have the Chicken Risotto. When it arrived, I was pleased with my choice. It was full of butter, cream and cheese and was undoubtedly very flavoursome. However, when something contains so much fat, you will find that the fatty globules will coat the tongue and leave a real greasy after taste in the mouth. 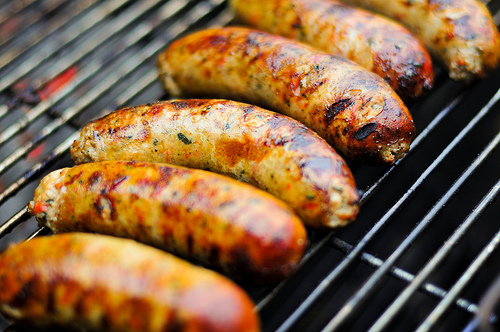 This results ultimately in a loss of flavour and it is the greasiness that prevails. To my surprise, when I asked for a lemon to squeeze over my meal, my request was met with much incredulity and astonishment. Luckily, I was granted this simple request and the lemon served to cut through the greasy layer that had already begun to coat my tongue. The acidity nullified the after effects of the high fat content and allowed me to enjoy the meal I had ordered. I could explain the origin and the history of the lemon but a simple Google search can bring up what you are looking for. I could talk about the lemon that rolled down the hill, but it ran out of juice. . . I could bring up the story about the depressed lemon that had lost it’s zest for life . . I could keep going with the puns, but I wouldn’t want to leave you sour! So instead I’m going to leave you with a recipe. The recipe that I have chosen this week is for Lemon Curd. I originally used this to make a Lemon Ravioli to serve with Strawberry and Champagne Soup. However, as with all things ‘lemon’, it can be used for a host of different recipes or simply be spread on a piece of toast. It can make an awesome base for a lemon meringue pie and is also a cheat way to make a Lemon Tart if you are pushed for time or suitable cooking utensils. First, mix all the ingredients together in a heat proof bowl. Then, place on top of a pan of boiling water and reduce to a simmer. Carefully stir the mixture, repeatedly scraping away from the sides of the bowl. When the mixture has thickened and sticks to the back of the spoon, remove from the heat and poor directly into a container. Place cling film or baking parchment directly on top to prevent a skin forming. Finally, allow to chill and serve in whatever way you so desire. So another insightful and thrilling blog has come to an end. 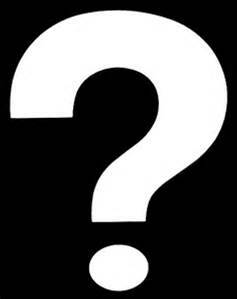 Next week I have decided to take a break from the A-Z and give you a little look into my new venture. 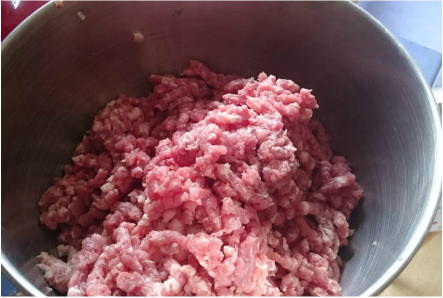 We have starte making our own sausages. I decided it would be fun to share some of my experiences in this enlightening process. Kale. There you go. No beating around the bush this week - Kale is the one for me. I love the stuff. I love its deep, rich, iron taste. I love how it can go fresh into a salad or be cooked down with bacon and cream. It’s so versatile and I guess that’s why it was the first ingredient that I knew I wanted. If we take a step back to where this all began; just like the Anchovy, Kale is something that I definitely didn’t appreciate as a child. In fact, looking back at the 11 blogs I’ve written so far, it appears that I didn’t really like anything to eat as a child! This is actually as far away from the truth as possible, as I used to eat everything that was put in front of me. Quite honestly, the story so far makes me wonder how I ever came to be a chef - with such a distaste for so many ingredients! But I guess that it’s the old mind playing tricks again (although I know I hated honey!!!). So, Kale. It’s definitely one of those ingredients that, if not prepared correctly, can be more of a ‘turn off’ than a ‘turn on’. In my time, I’ve been served it overcooked, under seasoned, so insipid that it would make even the happiest of eaters turn their nose up. However, I’ve also enjoyed perfectly cooked kale with bacon and cream, to accompany a succulent piece of cod. Delightful! Kale comes from the Brassica family or, as us laymen like to refer to it, the Cabbage family. Other members of this culinary dynasty are collards, brussel sprouts and broccoli. There has been a recent upturn in the amount of these vegetables that are being used. A lot of that can be put down to the fact that they are purported to have great health benefits. That would take another whole blog to go through, but let’s just say that the benefits are large and actually proven. Kale itself comes in a variety of forms. The ones that I use most often are the Curly Kale and the darker variety known as Cavolo Nero (very predominant in Italian Cooking). Both are equally as excellent as the other but the Cavolo Nero does have a much stronger and richer taste. Personally, I find the curly Kale is better for drying out and eating crispy. That got me thinking – could I do something similar at home? Many a subsequent hour was spent burning kale or waiting for the crisp crunch only to be met with a soggy, oily bite. However, after several attempts, I finally found what I was looking for. This recipe is even easier than last weeks. It’s also a 1000 times more nutritious and a lot healthier. Layer a baking tray with a piece of baking parchment. Make sure to wash the kale and dry in a salad spinner. Remove the stalks (if purchased whole) as these are nigh on inedible. Place the Kale leaves into a bowl and add Olive Oil and Seasonings. Toss together. Spread on baking sheet making sure that leaves are not stacked on top of each other. You may have to do 2 batches if you have a small baking tray. Place in oven for approx. 15 minutes - until crisp. Where to go with J? I was torn by this letter. Mainly because the first ingredient I thought of was the Jerusalem artichoke. However, this ingredient and I have a checkered history which lead to my eventual departure from the Masterchef Professional Quarter Finals. So I thought about the other possible ingredients that I truly love to use. There are a few items, such as Jelly and Jerk seasoning, that I have seen listed in multiple places as an ingredient – but personally, I feel they are an amalgamation of ingredients. Someone also suggested the Jersey Royal, but in my opinion, this is a type of Potato and should come under P.
Therefore I decided to go with the Juniper Berry (although not actually a berry) - so from here I shall refer to is as ‘juniper’. So what is the Juniper? For those uneducated in the dark arts of alcohol consumption, Juniper is the main flavouring for Gin. Gin is the main ingredient of the Gin and Tonic. A nice cold G and T is just what the Dr ordered on a hot summers evening. . . I digress. . .
Now, I don’t normally like to do this, but in these circumstances I feel that it is the easiest way to get down what I want and describe what a Juniper is. I am going to quote the great font of all knowledge that is Wikipedia (no hard statistics so there is less likelihood it’s terribly wrong). 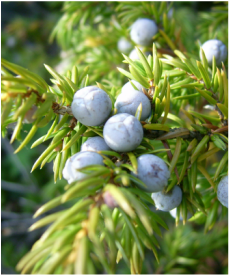 ‘A juniper berry is the female seed cone produced by the various species of junipers. So now we ask - Where does it come into cooking? Juniper is normally found dry in kitchens. The flavor is nowhere near as strong as fresh Juniper though. I’ve most commonly used dry Juniper with Venison. Leaving a red wine sauce overnight with junipers marinating in it can really add a new dimension to it. 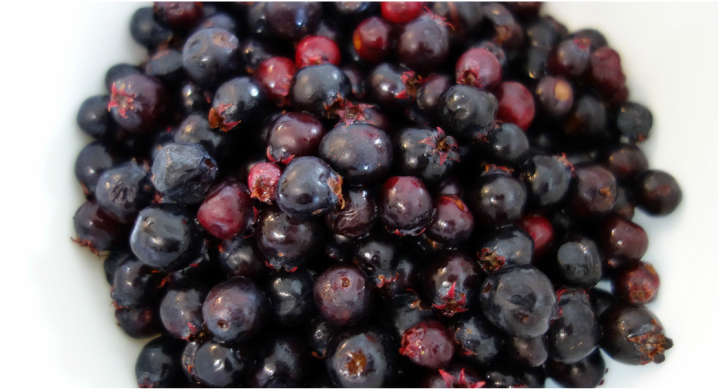 Consequently, I thought I would give you my favorite recipe that uses Juniper. This one is definitely not for those averse to sweet things. It is one of those recipes that was the product of a large amount of experimentation with flavours and ideas. We were lucky enough to find a large supply of dried Junipers hanging around in the kitchen one day whilst I was working in the Pastry section. So, I bring to you, the Gin and Tonic White Chocolate Truffle! This is probably the simplest of all the recipes to date, so far as it only requires a few techniques to get it right. 1. 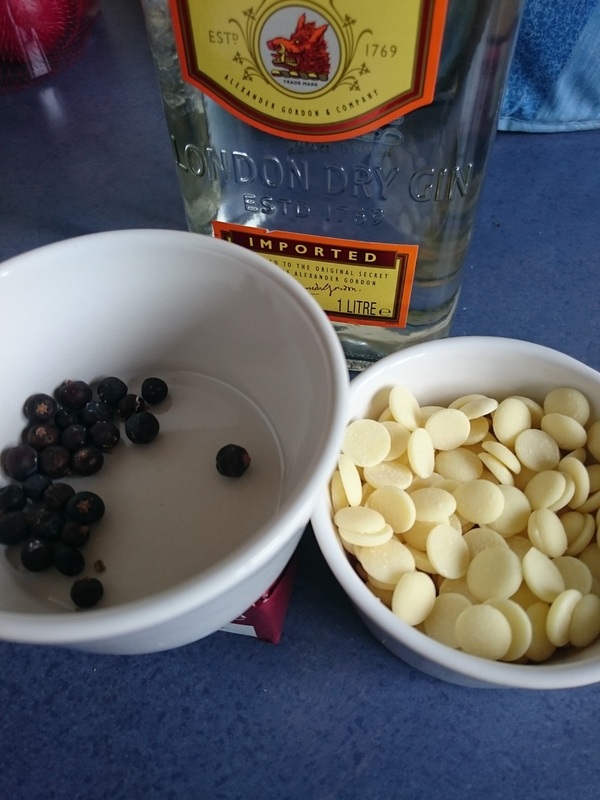 Mix the Tonic, Gin, Sugar, Lemon Zest and Juniper Berries together and reduce by half. 3. The next day, bring the cream mixture to the boil, then remove from the heat. 4. Melt the chocolate in a bowl over a pan of simmering water, then strain the cream mixture through a sieve onto the melted chocolate. 5. Mix together then put to the side and allow to cool. 6. Next, put the butter in a mixing bowl and whisk (using an electric mixer is probably easiest) until it has turned lighter and appears fluffy. 7. When the white chocolate mix has cooled to around 25-30°C, mix thoroughly with the butter and place into a tray lined with cling film to about an inch deep. 8. Place in the fridge and leave overnight. 9. Finally, take out the next day and either eat using a spoon or roll into small balls of about an inch in diameter and toss in cocoa powder and eat. Alternatively, you could melt some chocolate and dip the balls into this using a cocktail stick before chilling in the fridge again and then eating. If you are not a fan of White Chocolate then you can replace with Dark Chocolate. The only thing to note would be that the resulting truffle mix will be harder and less pliable to roll. You will find that you have to cut it over rolling it. Still tasty though! Well that brings to an end the letter J. Next week will be K. It was going to be an ‘offally’ obvious choice with Kidney, but decided against that . . .